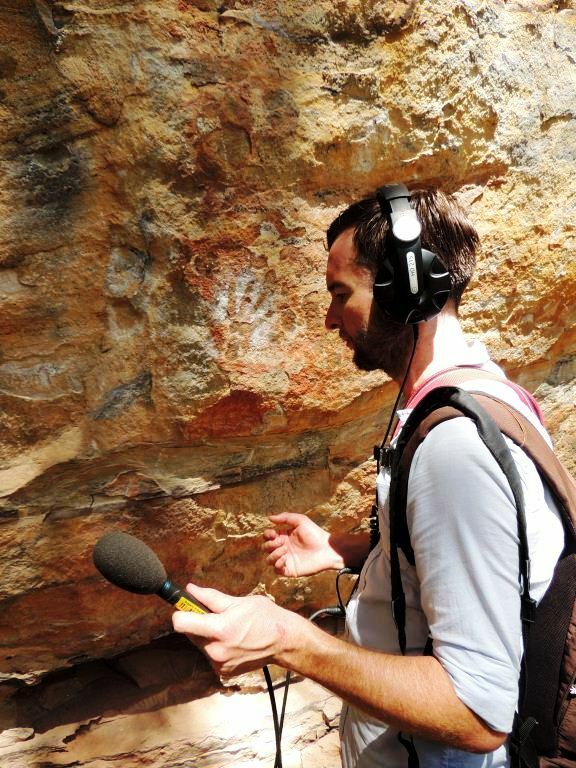 We are delighted and privileged to welcome ABC journalist Joel Werner (@joelwerner) to Real Scientists. He ‘ll be tweeting live from the road and from the Australian Broadcasting Coorporation’s Ultimo Studios in Sydney, Australia. Joel comes from a science background, but ended up in journalism through a circuitous route – but we’re going to let Joel tell you his story. Please give a huge Real Scientists welcome to Joel! “Joel Werner doesn’t like writing biographies in the third person, so – hello! My name’s Joel, and I’m a science journalist. I was part of the first intake of students to study the B. Psychology at Sydney Uni. I’m sure there’s an appropriate Latin term for that. Lucky an Honours year was required to graduate, as I didn’t really engage with the concept of psychological counselling. I did, however, quickly fall for research during that fourth year, and never looked back. Later, I looked sideways, but we’ll get to that. After Honours I toyed with the idea of not doing a PhD for a long while (long story), before leaving Sydney Uni to start work as a Research Assistant in the Sleep Disorders Clinic at Royal Prince Alfred Hospital. I worked my way up and into a Research Officer position there, before leaving to work as a R.O. with the Pharmacy Guild of Australia/University of Sydney. I’d physically moved about 300m in a decade. Finally, I mustered the courage to leave Camperdown, and picked up another R.O. position at the Dementia Collaborative Research Centre, working out of Prince of Wales Hospital/The University of New South Wales. The work I was involved in at the DCRC was, intellectually, the most fulfilling I’d been involved in. But, there was a problem – throughout my research career, it had often been suggested I should enrol in a PhD while I was working. I never had, and started to ask myself why. The answer I found was a constant niggle that I wanted to talk about science. Write about science. Communicate science. I started a Master of Arts (Journalism) at UTS, and soon found a natural affinity for radio production. Years of my 20s, beautifully misspent touring/recording in bands had suddenly paid off. I dropped a day/week at the DCRC and started working as the science/health reporter in the 2ser newsroom. Before too long I got a pitch up at Radio National’s Health Report, and six months later was offered a job as a reporter in the Science Unit. After a year, I pitched an ‘in-the-field’ environmental science radio show. After a few months development, Off Track was born; a location based half hour weekly mini-doco about nature, the environment, and the outdoors. And so now – that’s what I do. I chat to people in their natural environment about the things they do and turn it into radio. I still make content for The Science Show, because it’s, well, The Science Show, and whenever Norman Swan heads on holiday, I get to take over The Health Report. Which is what I’m doing this week. RealScientists presents our Seasonal Holiday Special, with some returning favourites! Next story Science straight ahead! Thanks Joel – like the Socceroos, you scored.